Caley Thistle manager John Robertson. 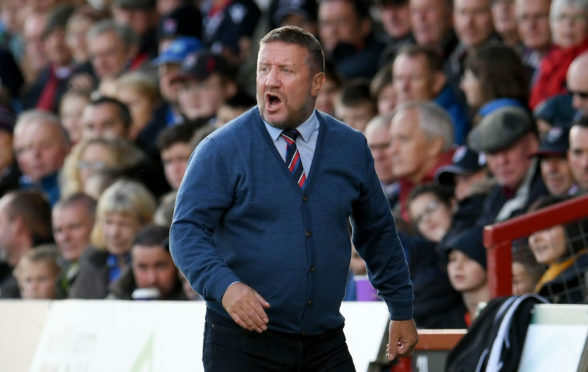 Caley Thistle manager John Robertson feels recent history shows there is little to separate his side from today’s Championship opponents Queen of the South. Inverness make the trip to Dumfries with a four-point advantage over Gary Naysmith’s men, who held leaders Ayr United to a 1-1 draw at Somerset Park last weekend. The two sides shared a 0-0 draw in their only previous meeting at Caledonian Stadium this season, having also shared goalless stalemates in two of the four encounters last season. Robertson expects margins to be fine against the Doonhamers once again this afternoon, and he said: “We have always had really good games against Queens. They are always tight, there’s never much in them. “We managed to defeat them twice last season. We had a phenomenal start at one of the games here at the stadium, and the same when we got a two-goal advantage quite early down at Queens later in the season. “There is never much between us though. They have got really good, exciting attacking players in Gary Harkins, Stephen Dobbie, Lyndon Dykes and Josh Todd as well. “They have got good attacking players as we have – but it’s incredible how many times both teams have managed to cancel each other out by working extremely hard. Inverness will once again be without full back Shaun Rooney, along with long-term absentees Angus Beith and Carl Tremarco, with Robertson adding: “Shaun has damaged his ankle ligaments after he landed really awkwardly.